If you're looking for the best Black Friday blogging deals 2019, you're at the right place! Black Friday/Cyber monday is the best time of the year to get maximum discount on internet marketing tools. Typically, every market and product has a discount campaign going on for the Black Friday weekend and our blogging scenario is no different. If you want to buy new hosting (or migrate from an old one), or get a premium WordPress theme for your blog now is the right time to get 'em. Instead of buying internet marketing products all throughout the year, what I do is, I make a list of not so urgent products and buy them during the cyber weekend time. This is because most of the WordPress plugins, blogging tools and SEO tools like long tail pro etc offer almost 70-80% discount coupon during this time. And you, like me, should take advantage of these Black Friday deals for bloggers and internet marketers to equip your business to grow faster and better. Last year, I bought WPX hosting (if you own a site that's important for you, you wouldn't want to miss them. Why? because they're secure to the core, super fast (you can get a page load time of 1 second! and offer free migration, free SSL, daily backups and do all the site fixings for free)), Bluehost hosting for a few new sites (they are best for sites that are just starting out) and Thrive Membership during this time and saved almost 70% of what I would have invested otherwise. That's why I suggest you to buy whatever blogging or SEO or marketing tools you want during this Black Friday/Cyber Monday blogging deals time. 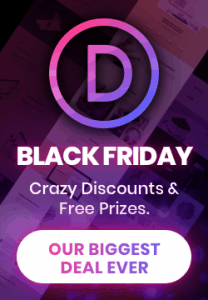 If you want to get the best internet marketing Black Friday deals and discounts (2019 edition), this post is for you. I have listed all of the most popular products including WordPress hosting deals, Premium WordPress plugins and themes discounts and SEO tools (like Long tail pro, SEMrush, etc)that will help you scale your blog. This year, we have an epic listing of hand-picked best internet marketing Black Friday deals that extend through Cyber Monday so don't forget to grab your favorite best blogging or SEO tool Black Friday Cyber Monday deal 2019. Bluehost is the most popular hosting service. I have a couple of sites hosted on them and am super satisfied. If you want a hosting that is blazing fast, secure, has no downtime and a great customer service, Bluehost is your thing! Click the button below to get exclusive Bluehost Black Friday/Cyber Monday discount and get started. 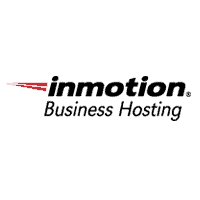 Inmotion hosting is another option that offers great features. It helps in faster loading with minimum time to first byte. They do not freeze your account for high traffic spikes. Apart from that, Inmotion hosting offers free data backups and a whooping 90 back money back guarantee. Click to know more about Inmotion Hosting Black Friday/Cyber Monday deals 2019. Managing a business is hard and you'll agree a website or blog has a thousand core tasks to do. My recommendation is to always focus only on the aspect that requires YOU and outsource the others to reliable service providers. 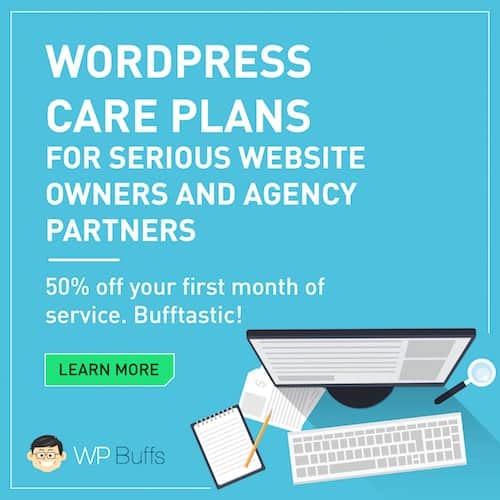 For all my WordPress sites, I use WP Buffs to manage the back-end tasks like backup, security checkups, website theme updates/edits, analytics checkups, and every other thing so that I do only "business". See here to learn how they can help you or click the button to get a massive 40% OFF as WP Buffs Black Friday Deal. Elegant themes are by far the most versatile, light-weight and SEO-optimized WordPress themes you can get. Read complete Elegant Themes Review here. During this WordPress themes Black Friday/Cyber Monday deals weekend, you can get all 89 of their themes and all future themes for $69 only. You also get access to all of their plugins including Bloom email marketing plugin and monarch social sharing plugin. P.S. They are offering HUGE bonuses worth $1000s so be quick to check those freebies also. Some of them include, DIVI layouts, ​CSS Hero, Caldera WP and tons of other goodies. Click the button for more info and elegant themes Divi discount coupon. For existing customers wanting to upgrade click here to get Black Friday Discount and click here to get cyber monday discount (all discounts are same only URLs are changed for existing members). For new customers, click the buttons below to avail your Elegant Themes Discount. Genesis themes are the most SEO-optimized themes (they even don't require Yoast SEO). They are the most used premium WordPress themes and come in many layouts to fit every niche, writer or fashion or multi-niche. 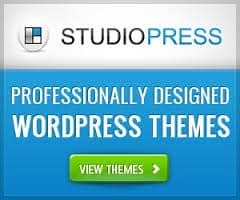 Themes by Studiopre﻿﻿ss are built on the Genesis framework and are cleanly coded and load blazing fast. These are the most secure themes and have least roles in website hacks. You can choose the pro plus package to get access to every theme they ever make, or select any specific theme. The StudioPress Black Friday Deals 2018 apply to both. New Customers Get 25% OFF discount on all StudioPress themes whereas existing customers get 50% OFF discount on all themes purchase (existing customers need to stay logged in while purchasing to avail the 50% StudioPress Discount). This year, Long Tail Pro Black Friday Deal gives you 50% OFF on all plans, including monthly. And is applicable on all recurring payments on the selected plans. 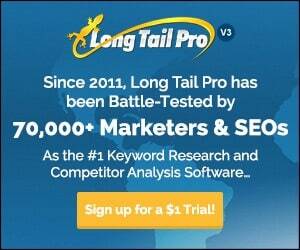 Long tail pro is THE keyword research tool I use. It helps you dig into profitable keywords, find keyword competition and top 10 ranking sites for your keywords. It helps you find free domains and amazon ratings for your keywords. Thrive leads is perhaps the best lead generation tool till date. You know that money is in the list, the more the email subscribers you have, the more will be your net worth. Thrive leads offers a range of features that enables you to have exit-intent pop ups, page-targeted email widgets, content upgrades, link popups and many more. Head over to this page, to see how I used thrive leads' exit-intent popup to boost direct affiliate sales (even without getting signups). Click the button for working Thrive Themes Discount coupons for Thrive Architect and thrive leads discount coupons. Thrive architect is the tool that you need to make your posts more engaging and converting. For example, this whole current page is designed using Thrive Architect. I did not use a single code. The page is looking nice & converts well too. Now you don't have to suppress your feelings to get that desired landing page that you saw on the other blog, Thrive Architect makes it easy without coding. Check this blogging toolbox again, can you guess I designed it without even coding a single line? 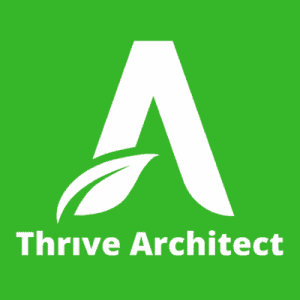 Click the button for more info or check out the detailed Thrive Architect review. This way you can track them, frame your own strategy and stay ahead of the game. Similarly, you can use it on your own site and conduct audits and make your rankings stronger. 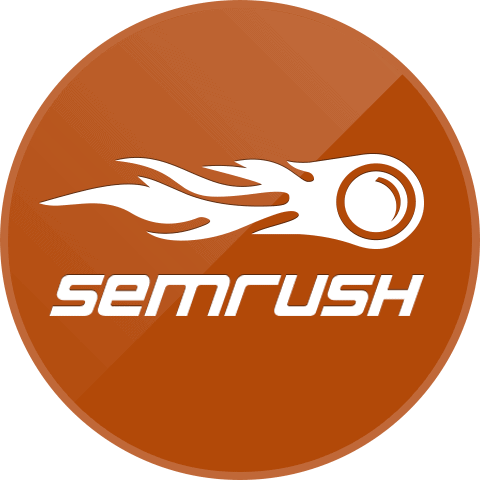 Click below for more info and to access your SEMrush 30 day free trial account. All GetResponse Discounts start from 23rd, Nov 2019. 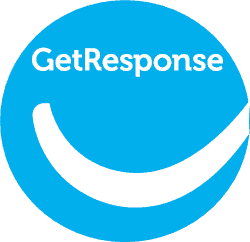 GetResponse is by far the most affordable email marketing tool you can find. Of course, you've got Mailchimp which is free but the free version lacks autoresponders which is the key to email marketing success (read my GetResponse review 2019 edition to know how it can help you make money with email marketing). Grammarly is the best free online grammar and punctuation checker. it corrects about 250+ common English mistakes and makes your writing better. Grammarly is recommended for writers, students and business people. It is the hands-down the best plagiarism checker to avoid plagiarism. 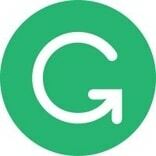 Read complete Grammarly ﻿review here or get Grammarly student discount below. It also checks for plagiarism, copied content and detects your writing style based on your genre (business copy, medical or script writing etc.). It sits on your browser and corrects emails, social media updates and has a MS word addin too. Social warfare is the social media plugin for WordPress that does all you can imagine. It has 100s of layouts, light-weight (lightest to be exact). displays Twitter share counts etc. You can have it floating in the sidebar or bottom. It also can recover lost share count due to URL change. You can set custom click to tweet boxes and select which image gets shared on Pinterest even if that image is absent in the post. Pinterest is the second largest referrer of social media traffic after Facebook. 1000s of potential readers are waiting to be fed with content and deals to buy. With tailwind, I schedule tons of pins when I am free and all are set to go live when they have maximum reach. Tailwind increases your reach, drives traffic & sales to your blog. Don't take my word for it, read this case study how 3 sisters gained 20K followers & 500,000 website visits in just 5 months from Pinterest using tailwind. Outreach them via proven templates. Manage, organize and auto-send campaigns with follow up emails. Get more social shares/exposure, backlinks (my fav! ), and leads to nurture into buyers. 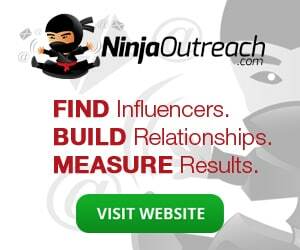 Not only that, Ninja outreach is my go to source to get backlinks via outreach method. Got a new post published? or a new link-able blog resource? Use Ninja outreach to search specific bloggers and small business websites to get the word out and ask them to link you. Perfect for bloggers, marketers, consulting agencies and businesses of all kind, that want to growthhack. Save more with Ninja Outreach Black Friday Deal. Template monster is by far the biggest seller in blogging related products, may that be WordPress themes, Joomla themes, Prestashop themes or woocommerce themes, they have a deal for every website template you need. 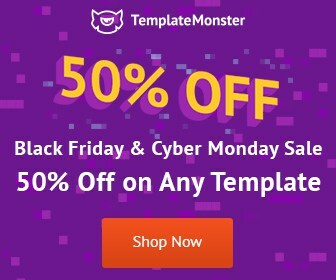 You wouldn't want to miss Template Monster Black Friday/Cyber Monday deal that extends from 19th Nov to 29th Nov, 2018. So, this was the ultimate list of Black Friday/Cyber Monday 2019 deals and discounts for bloggers and internet marketers. There are dime a dozen offers, I have chosen or hand-picked the ones that matter. There is something from everything, may it be WordPress Hosting discounts or Premium WP themes coupons. May they be SEO tools deals or Content/social media Marketing tools deals & discounts, this post got you covered. I know this can be a little confusing when you need to invest your hard-earned money on these Black Friday Blogging Deals . If you've decided what to buy go ahead and get them from the list. If not, I will further breakdown things into two parts. One for starters (which has tools they must have at any cost to be able to make money online) & other is for advanced users (who already have grown their blogs but need the right tools to scale them to the heights they deserve). Wondering why buy so many things? First off, I am not selling you off. Secondly, these are must have tools that you should buy at this time because they all come with huge discounts. This will save your hard-earned money throughout the year. And as they say, investing in yourself is the best investment you'll make, ever. Did you like these Black Friday Blogging & Internet Marketing Deals 2019? Kindly share it with your friends who might like it too. P.S. This page may content affiliate links which mean if you purchase from those, I might get a small bonus at no additional cost to you. Please know that all products here are personally tested by me & I would never suggest you anything motivated the by bonus. This earning helps me stay motivated in serving and keeps this blog running, so I appreciate you buying 'em from my links.